Do you make all of your products personally? –Everything sold here is designed and made by me or my very talented daughter. If the item is made by my daughter it will be indicated in the item’s Product Description. –Most of my ideas come from things I would like see made for myself or experiments with new techniques. I also get ideas from watching many talented makers on Youtube. If you check out my Youtube channel, I have a list of the makers and artists in the Featured Channels section who have inspired me recently. I don’t often write out or draft ideas out to completion. Instead I start with a concept, usually one that integrates multiple techniques that I’ve seen others use or that I have used in the past. I also like for there to be a practical aspect to the piece. For example, one of my current projects is a making a lamp out of a large pickle jar–you can see an early picture of it on Instagram and eventually I will have a Youtube video showing the steps in it’s creation. In this particular project I wanted to integrate the techniques and concepts of “trash to treasure”, acrylic dirty pour, wood carving and resin crafting. And as you will eventually see in the video, mishaps or lessons learned often become fortuitous design changes that ultimately enhance the end product. As an artist, the journey is just as important as the final piece. Another example was an experiment with using my first batch of homemade paper clay to create SpongeBob SquarePants’ pineapple house that also has a little swing out drawer in the back. Here’s a photo of it in the early stages. –Wherever possible I will use recycled materials because I believe in “waste not, want not”. And let’s be honest, profit margin is an important part of any business and this business is very new, started on a shoestring budget. I don’t expect to get rich by selling my stuff, but I would like to be able to fund my endeavors so I can continue to produce art. However, if a project requires new materials, then that is what I will use. For example, pallet wood is good for all kinds of project and there is tons of it out there for free. However, most pallets have chemicals in them like formaldehyde that are not good for people. As a result I would never make a product that people would eat off of or grow plants to in (meaning plants they would eat like herbs) out of pallet wood. Only “clean” new wood or food safe resins and epoxies would be used in such a case. In other words, the item and it’s potential uses are the key consideration for what kind of materials I will use–cost is NOT the ultimate driver. Each item in my store will describe the materials used in the Product Description. Do you have certain themes that you tend to rely on? –I don’t have themes but I will, on occasion, make items based on a theme for particular events. For instance, I want to attend a Game of Thrones fan conference in late May 2018 (Con of Thrones 2018) as a vendor, because I’m a big fan, I’m familiar with the online community, and it will be a great showcase for my new business. 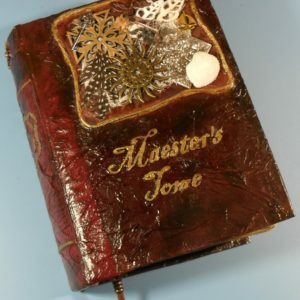 As a result I have planned a lot of products (everything from fridge magnets to one-of-a-kind journals) that are directly related to Game of Thrones themes such as the various houses, individual characters, medieval jewelry and architecture, dragons, etc, etc. I will NOT, however, be making anything that would violate HBO’s trademarks. It’s more of a challenge if one can make original art using those themes without directly using images and works from the show. Do you create “how to” or “maker” videos? –As of February 2018, I am in the process of making several videos on a wide variety of products that I eventually hope to post on my YouTube channel. Quite a few will probably be focused on the Game of Thrones themed products but there will be other non-related ones as well. If you’re interested in being notified of when I post those, check back here or subscribe to my channel and click the little bell icon.